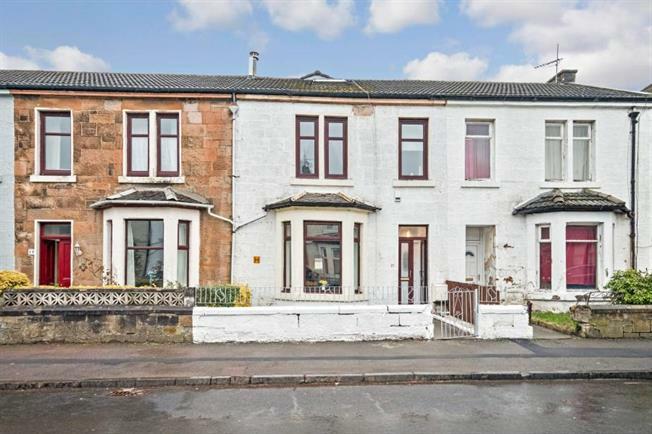 3 Bedroom Terraced House For Sale in Glasgow for Offers Over £155,000. Countrywide Estate Agents are pleased to present to the market this stunning traditional sandstone extended mid terrace villa within a popular district of Drumoyne. The accommodation extends to entrance vestibule, reception hallway, beautifully presented bay windowed lounge, dining room, impressive fitted dining kitchen and bathroom. On the upper level there are three bedrooms and there is a converted attic room. The property features a system of gas central heating and double glazing. There are private front and rear garden grounds. Early inspection of this property is highly recommended. Drumoyne Road is ideally placed for a range of local amenities including Queen Elizabeth University Hospital and offers nearby high street shopping at Braehead shopping complex. It is also close to public transport and motorway links with the Clyde Tunnel being on the doorstep.